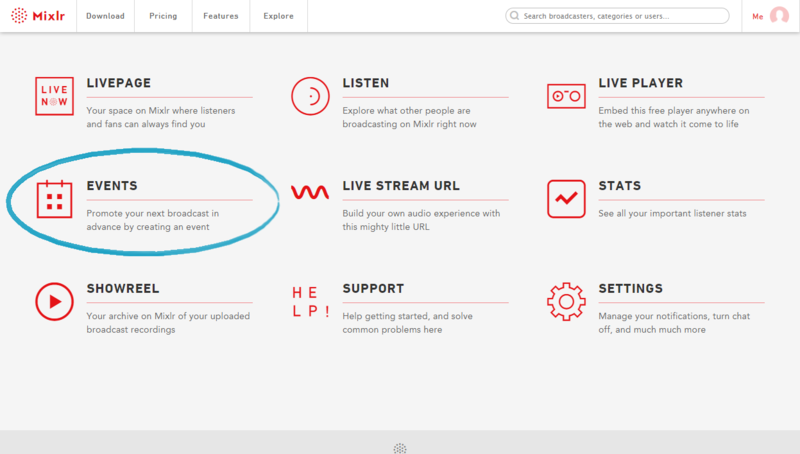 This tutorial will walk you through how to create an event on Mixlr. TIP: events are available to Premium, Premium Plus and Pro broadcasters. To upgrade your account visit our Price Plans page. 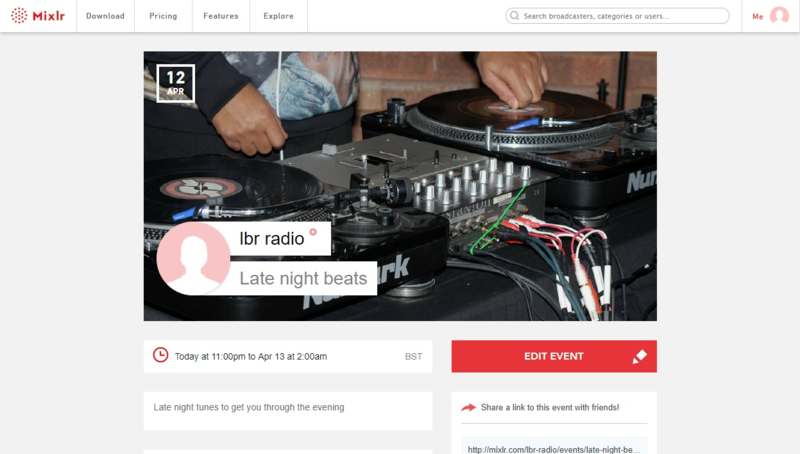 Your events page is accessible via you main Mixlr homepage. 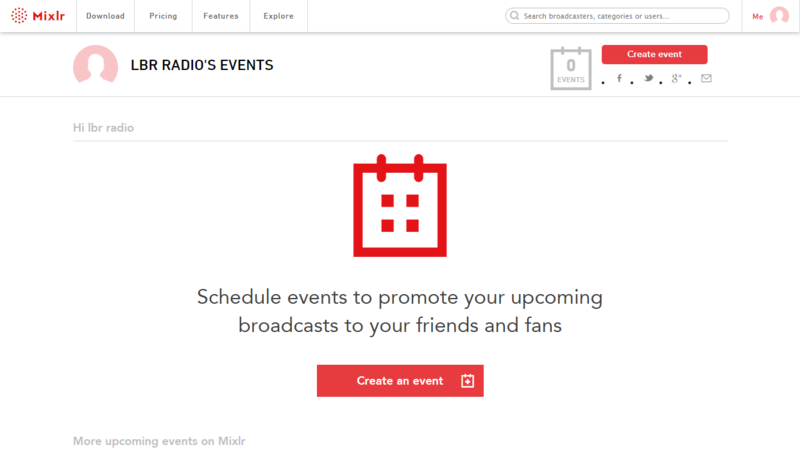 From your events page you can see any upcoming events you have already set up, and create new events for upcoming broadcasts. 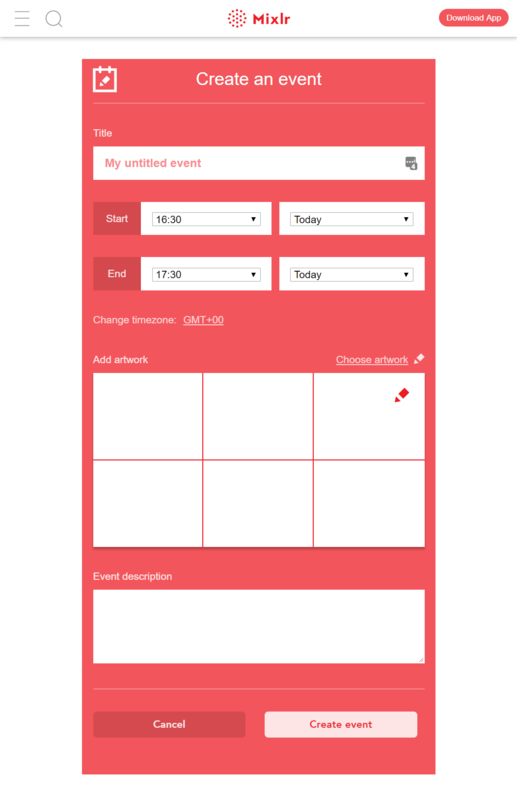 To create an event click the 'Create an event' button. This will open the event creation from. From here you can enter your event's title, set the start and end times, add an event description and upload an artwork image. (We recommend images of 1600px x 840px.) You'll need to add something for all fields in order to create the event. TIP: event images must be at least 800px x 420px, so please ensure that you are using an image that is at least this large or you will not be able to create your event. You also have the option to change the timezone of the event. By default your computer's current select timezone will be used. To change this select the link to the right of 'Change timezone' which displays the currently selected timezone (in the image below, this is 'GMT+00'). Once your event is ready, click the 'Create event' button at the bottom of the form to make it public. Find out how to share your event here.